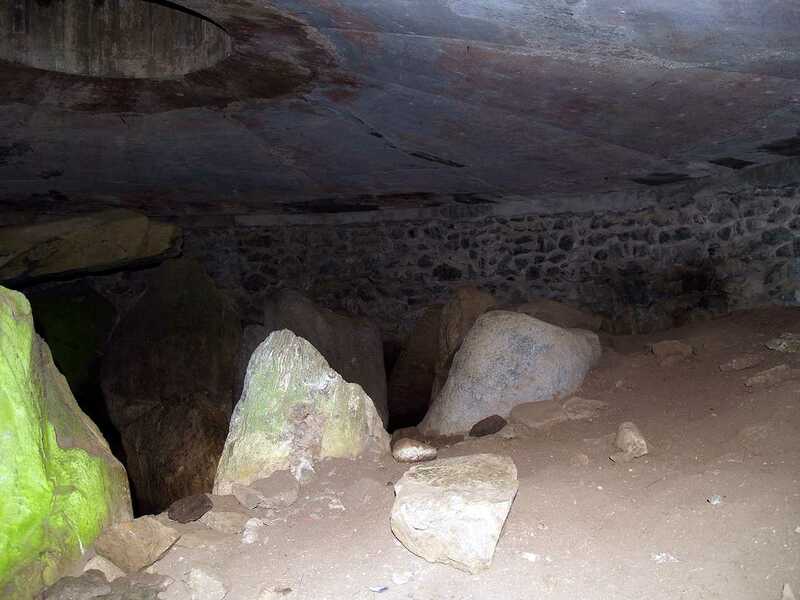 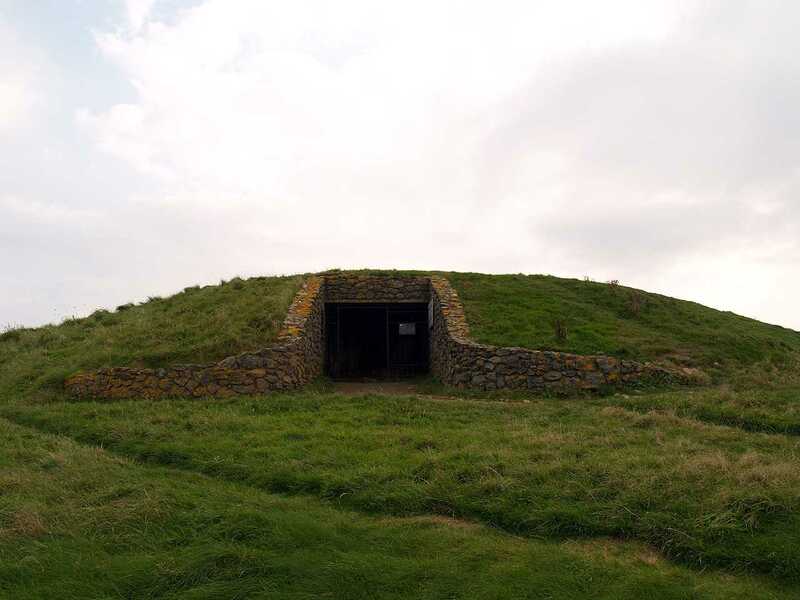 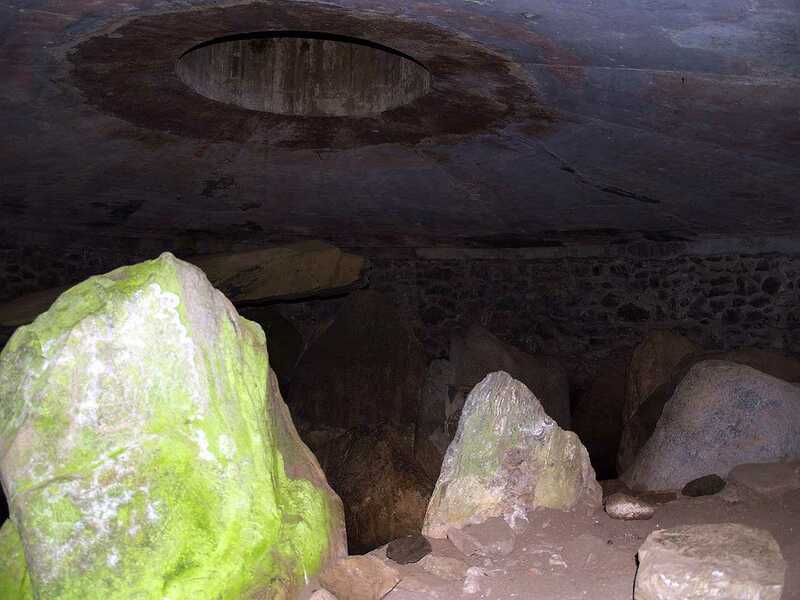 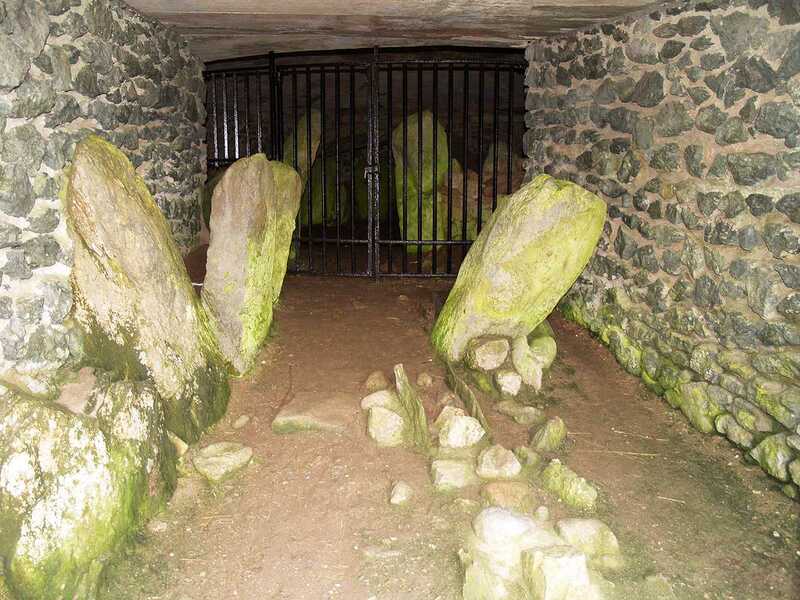 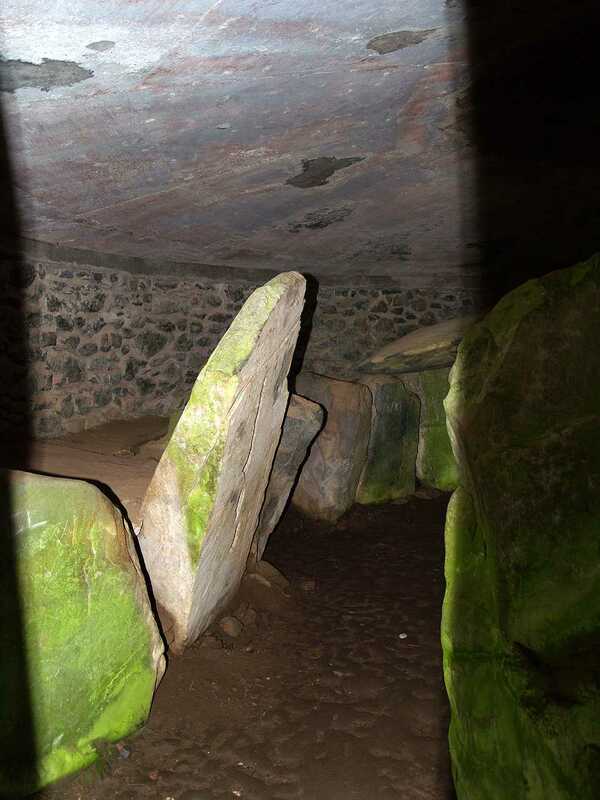 Barclodiad y Gawres Burial Chamber - an ancient monument on the Island of Anglesey. 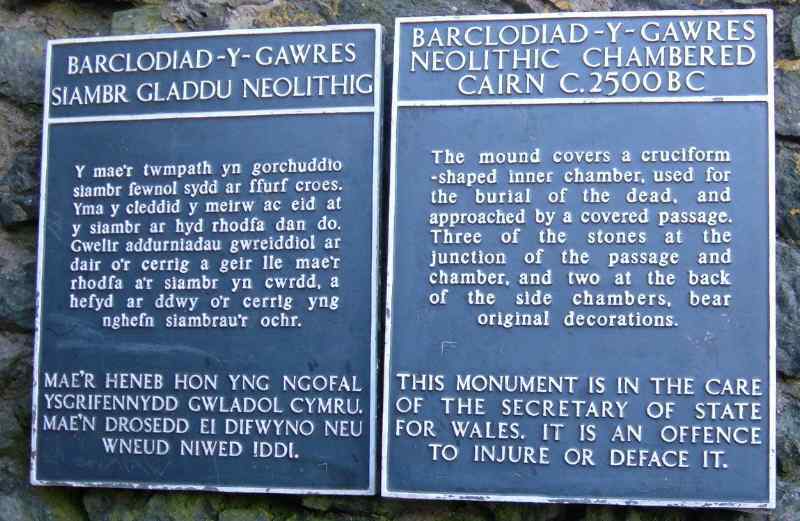 Translated as the Giantesses Apronful. 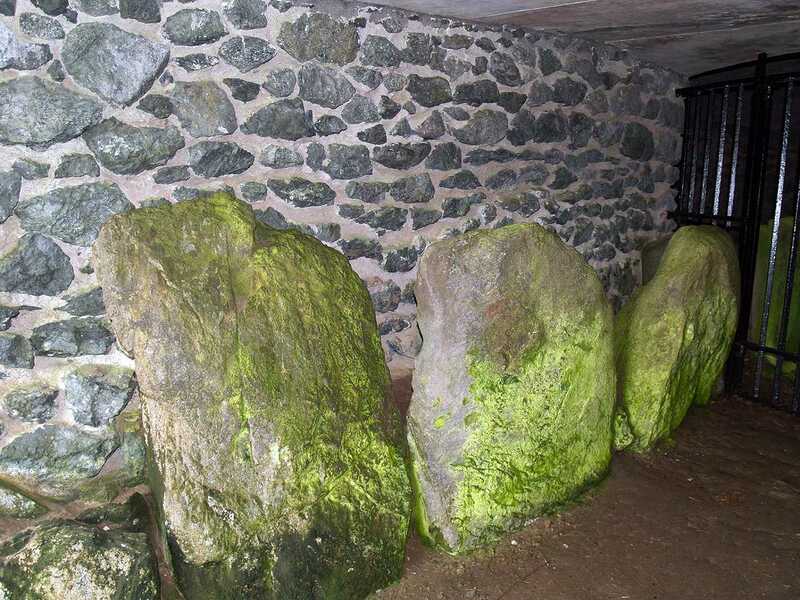 The story goes that two giants were travelling to Anglesey to build a house, he carrying two large stones for the doorway, and she an apronful of smaller stones. 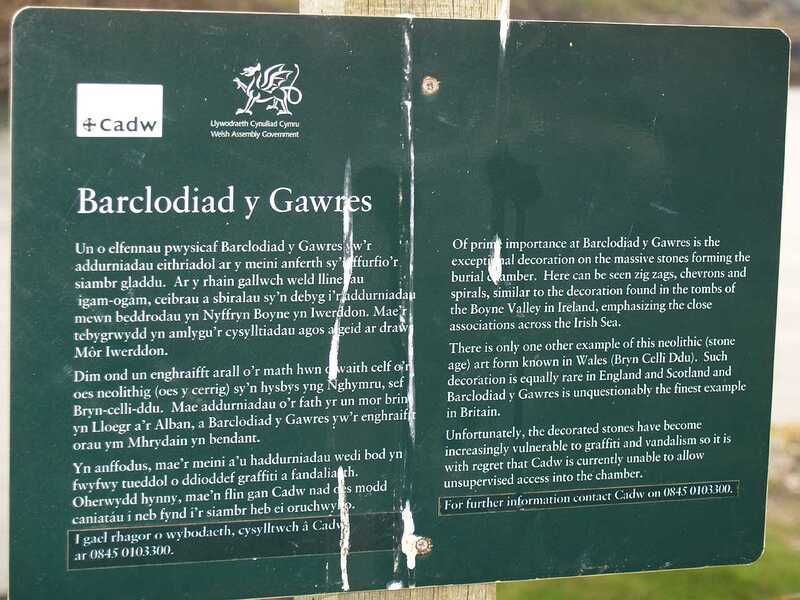 On the way, they encountered a cobbler, and when they asked him how far it was to Anglesey, he jokingly told them that he had used all the worn out shoes he was carrying on his shoulder walking from there. 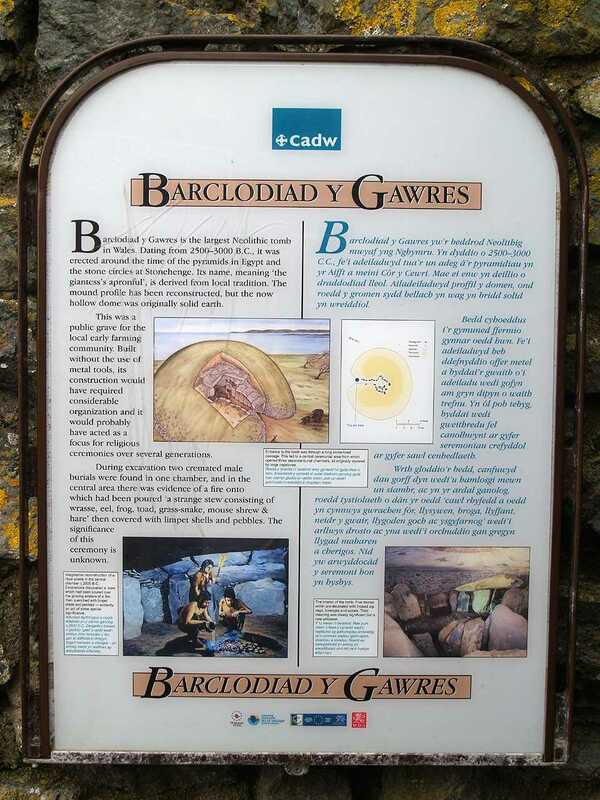 The giants gave up on their journey and discarded the stones, thus creating the Barclodiad y Gawres. 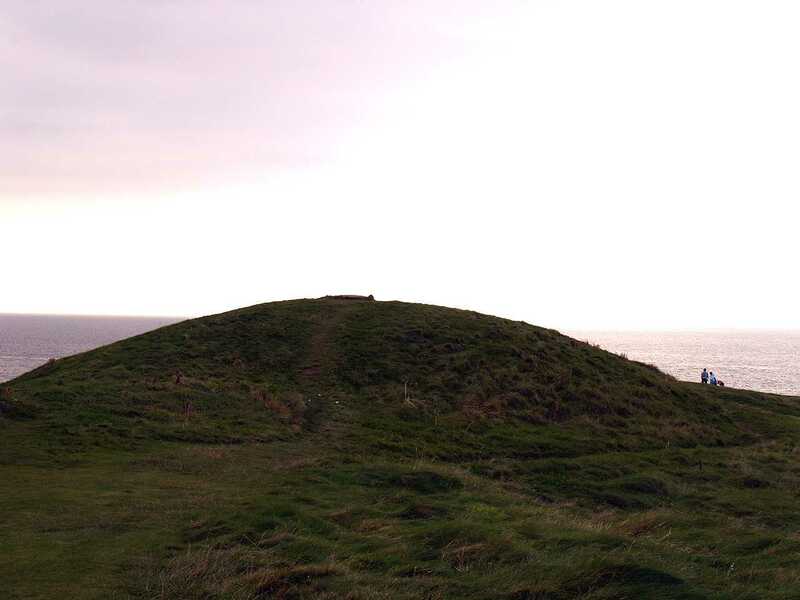 This chambered burial mound is located on the coast overlooking the bay, just 2 miles from the village of Aberffraw. 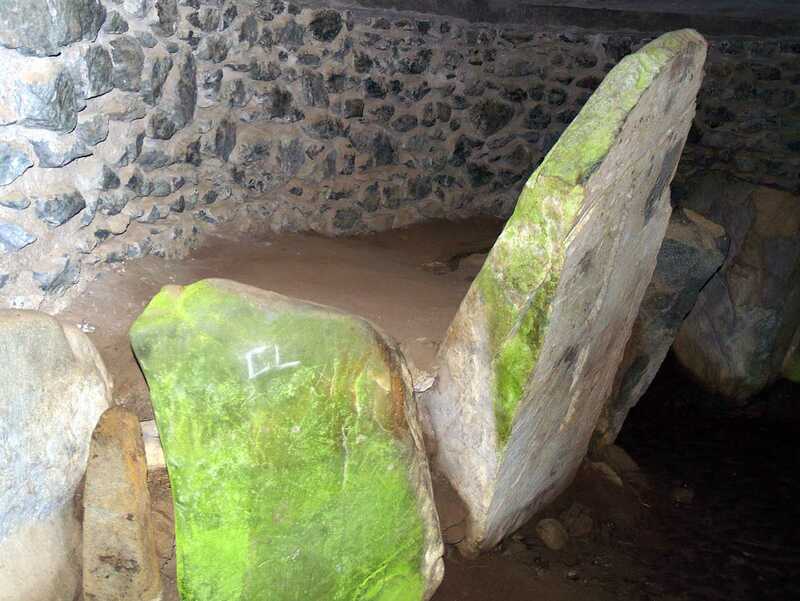 Dating from circa 2500 BC (contempoary with the building of the Pyramids) it houses five original carved stones. 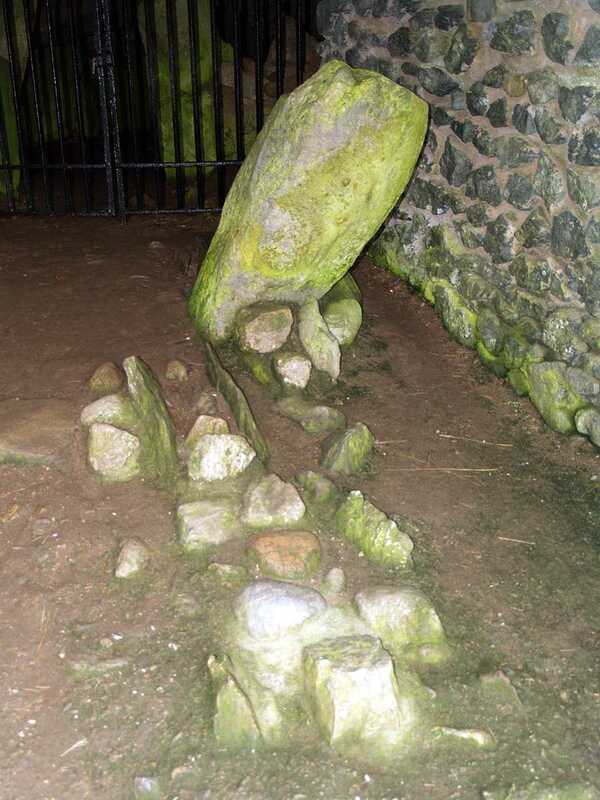 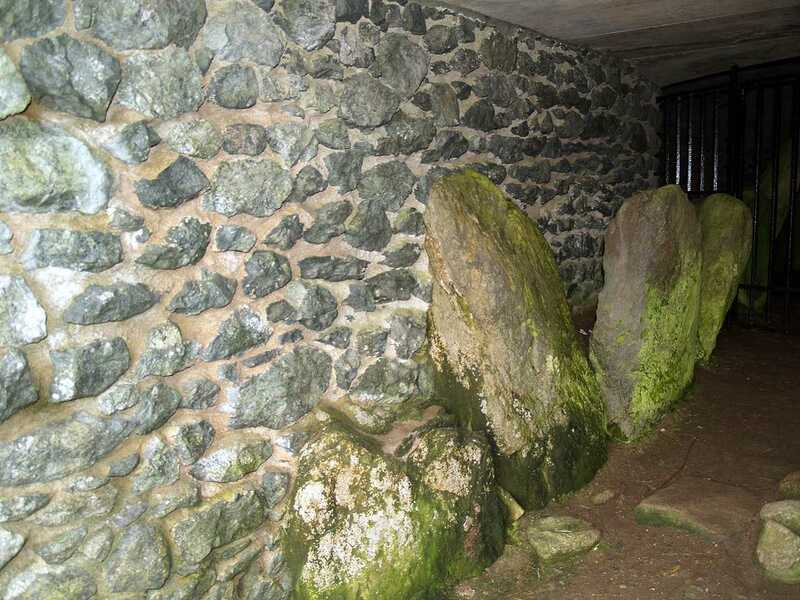 To prevent any vandalising of these stones, the gate to the burial chamber is locked. 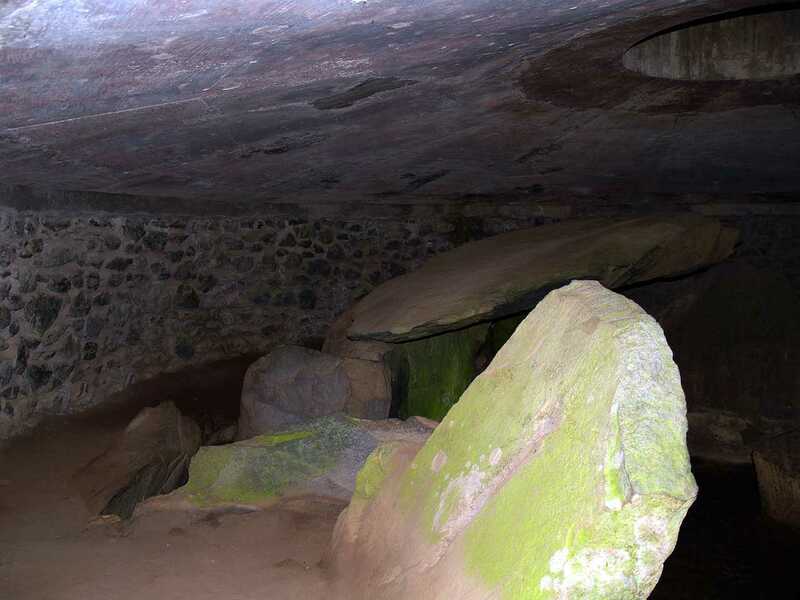 Inside the top of the large mound a concrete mound has been laid to protect the interior. 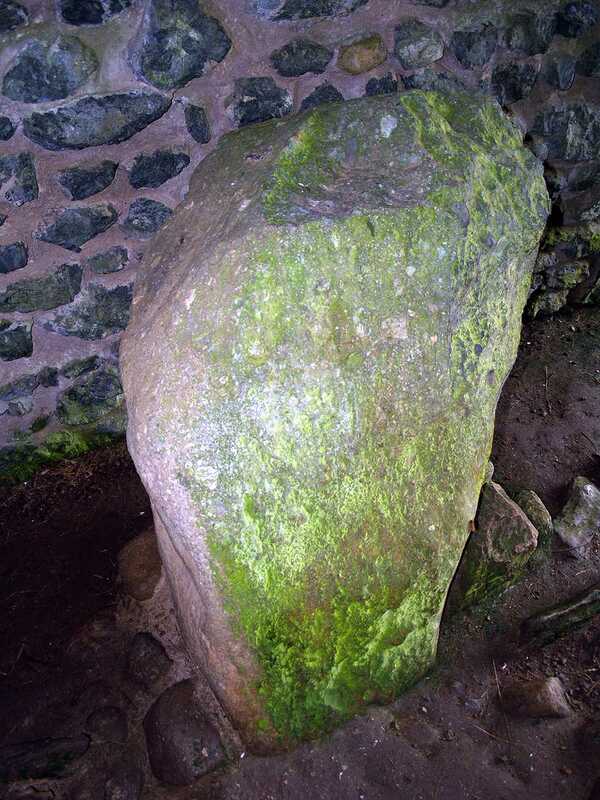 To see the monument one first has to obtain the key from the Wayside Shop in Llanfaelog (a £5 deposit is required). 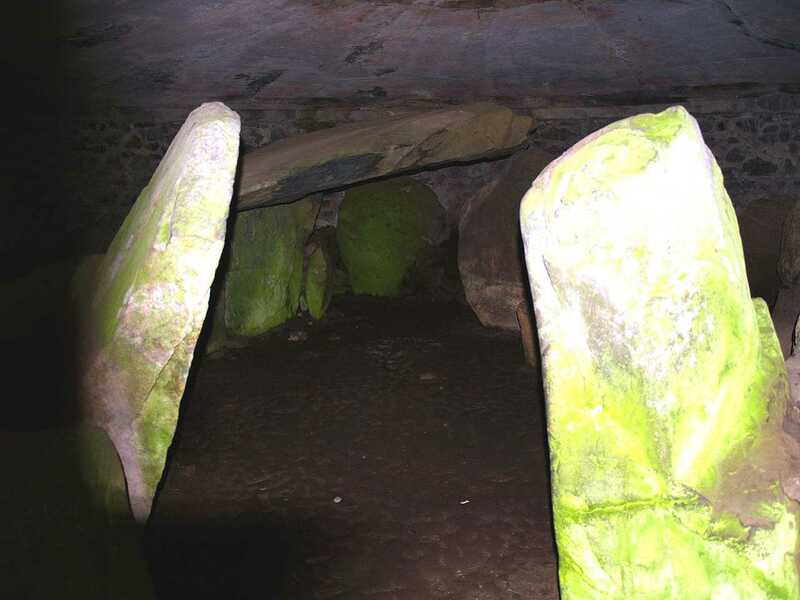 The phone number is 01407 810153.